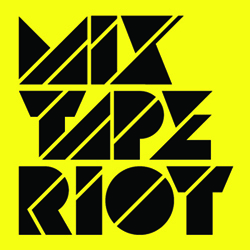 Mixtape Riot - Page 6 of 124 - Just a music blog, or so much more? Man oh man. There’s an overwhelming abundance of reasons to feel helpless today, but I am making a major effort to keep that radical glimmer of hope alive. Another mass shooting and all the talking heads keep saying how unlikely it is that we gun-crazed Americans, with so many of our gov’t officials under the NRA’s thumb, will make even a single piece of control legislation pass. And even as the rising scale of global-warming induced storm surges continue to blast our country into devastation, we have a leader who refuses to accept science. The list could certainly go on because there are a million dark realities that are making me upset, but today (and for the past week) my heart is really going out to Puerto Rico. It’s just crazy to me that the situation does not seem to be getting better. The way the entire population is being treated like 3rd class citizens, with not nearly enough mainstream media coverage to help gather sufficient relief, has me feeling like Lin-Manuel Miranda. I suppose it is relevant that my musical career was built largely with music from this special island, and from descendants who claim this place. I’ve been lucky to have several trips there over the years, which helped me get a better grasp on why a relatively tiny island can have such a huge cultural impact worldwide. Anyway, today I’m sharing some music from Puerto Ricans, from oldies to brand new. I also recommend making any kind of donation to help the relief effort. Great selection and I particularly enjoyed the last one. I shall go and donate! ¡Santa mierda! A while back I was approched by a producer from Colombia to work on a song for 95-year-old maestro and living legend Magín Díaz. I was immediately down. This guy is now acknowledged for writing a handful of folk classics which went on to be recorded as hits, while never actually being credited or financially rewarded. Well, today some of that cultural capital is finally paying off because this long overdue album (the first released under his name) was just nominated for a Latin Grammy (“Best Folk Album”). I’m sharing the one song I produced on the album “Mujeres Malas”, which is also the only non-folk song on the collection, but I like to think that it still incorporates a hefty dose of roots in the mix. It features supporting vocals from some of the baddest Latinas from around the world: Li Saumet (of Bomba Estereo), La Yegros, Nani Castle, La Bermúdez, Kombilesa Mi, & Mónica Carrillo. Do yourself a favor and listen to the rest of the record, and for those of you who still have CD players, the packaging and design of this release are really some of the finest I’ve ever seen. This is one of the best posts youve done since the old blog, truly wicked, thank you!!! Ok ok, so after my last playlist it became pretty clear that more than a few of you are really thirsty for more funk and soul… I hear you loud and clear, but today is not your day, sorry. Soon enough, because I have heaps more where those soulful gems came from. Instead, I’m getting super psyched for my Saturday night set at Beloved Festival way up in Oregon this weekend. I have never been, but I’ve been hearing great things about this gathering for years and I feel honored to be part of the line-up (sandwiched in between Quantic with Fémina & my old friend Nickodemus). So today’s selections are skewed in the direction of late night tribal raving deep in the forest of the Northwest. Sorry again to the classic funk fiends, but roll with me on this one and try to imagine yourself surrounded by redwood trees and hippies with facepaint on and not much else, in front of a massive sound system, joints loosened up from a yoga session, chakras aligned after a recent soundbath, and then these tunes come blasting full force… hopefully it all makes more sense that way. For more cool photography capturing vodou ceremonies in Brooklyn, check out Shannon Taggart. Another great playlist! Did I forget too mention this is my other fave genre! Thanks for sharing. There are more than a few activities I love doing, which I am now finding it increasingly difficult to find time for in my new dad life: bike rides, yoga, record digging, writing blog posts (once a month used to make me feel guilty)… However, there is one great joy (mostly absent until recently) that has now become a daily routine, helping to keep me sane while providing a solid musical education for my baby at the same time. I’m talking, of course, about the living room dance party. I feel blessed to have a generally happy kid, but when I drop the needle on a record in front of her and demonstrate the proper wrist action for turning up the volume, she becomes ecstatic. Bounce, twirl, shake, repeat. I put together this new batch of songs with these dance sessions in mind (apologies in advance to my downstairs neighbors). I have so much more good music to share, hopefully it won’t take as long for me to put up the next post. Cheers to funky Frenchman Claude Viallat for providing today’s visual flourish. OK I have to comment again….I can’t get enough of these tunes. So refreshing…thank you!! Funk has been absent for sooooo long….so thank you!! More FUNK and SOUL please!! Great tunes. Back to how it was. This is why I started coming here. Global funk, soul and wickedness. Best tunes in a long, long time!